With the European summer in full swing and crowds flocking to the main European holiday destination meaning we recommend to travel further afar or discover the lesser travelled destinations in Europe. It is also the perfect time to travel to some of the worlds biggest attractions in Asia and South America. 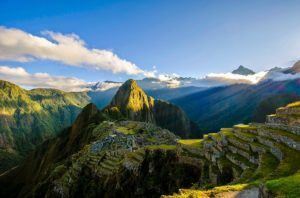 Many people believe that the only attraction to Peru for travellers is to see the stunning Machu Picchu, however there is so much more to discover in this spectacular South American country. A country rich in culture with delicious food and stunning nature with some of the best hiking trails on the planet and hidden in there is one of the wonders of the world in Machu Picchu. Also during this month you won’t be bothered by as many mosquitos which can make a huge difference to your experience in Peru and the Amazon. Starting off with the most popular of all Peruvian adventures the Inca Trail a famous hike taken by thousands of tourists a year with different levels of expertise meaning you can decide how much you want to challenge yourself. Trek through the stunning mountain ranges of Peru and discover the history behind this trail going back as far as human kind can remember, expect to see incredible mountain ranges on your journey with a number of high altitude lakes providing homes for some very rare and wonderful wild life. After you’ve completed your trek you have made it to what you have all been waiting for Machu Picchu. Set high in the Andes is a phenomenon which will be forever remembered as one as the greatest man made creation of all time. No one really knows what it was once used for which simply adds to the wonder, however the location of the structure is something to behold with panoramic views over the surrounding mountain ranges and Incan temples adding to the mystery of the area. Llamas can be found roaming the hills making for some amazing picture opportunities of these unique animals native to this area. Cusco is another of the main attractions to Peru – a vibrant city full of culture and history unique to this area, full of locals going about their day to day life with a mix of foreign influence thanks to it being the gateway to to Machu Picchu. Discover stunning architecture spread throughout the city such as the main square in Cusco – ‘Plaza de Armas’ a huge square in the centre of the city with a number of surrounding markets providing local foods and produce for you to try along with a buzzing atmosphere and an insight of what life is like for one of the Peruvians who live here. There are also a number of ruins surrounding the city from the Incan times if you still haven’t got your fix of Peruvian history then make sure you visit these spots. There’s so much more to explore in Peru and what better way to do it then on an escorted tour with one of our trusty tour operators, providing local tour guides in which can provide their expert knowledge on where you should see in Peru. Go on the ultimate adventure tours with Exodus or Intrepid in which will give you an unforgettable adventure to Machu Picchu and beyond. Sri Lanka is a magical place with untouched paradise at every corner be it in the form of beaches, mountain ranges or ancient history spanning through out a country in which the locals create a lovely atmosphere with their welcoming attitude towards visitors. 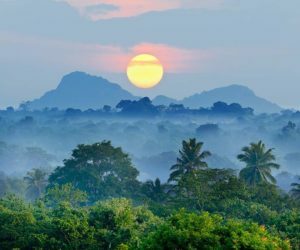 August is a great time to visit this magical country as it is the time Sri Lanka experiences two monsoon seasons from east to west meaning if you time where you visit you can have both sides of the country in the perfect weather conditions. Colombo like most people travelling to Sri Lanka was my first stop after a half an hour journey from the airport in Negombo (dependant on traffic) I arrived in Mount Lavina a scenic ten minute train journey from the centre of Colombo just in time for a beautiful sunset to get my holiday started. Heading into the centre of Colombo you can experience the hectic Pettah markets full of local produce and exotic foods in which was the highlight of Colombo in my opinion especially the sea food. Mirissa is the most popular spot for many tourists along the south West coast and you can understand why! A stunning little bay with a lot going on, this is one of the best places in Sri Lanka to take a whale watching trip to go and try spot the biggest living creature on the planet the Blue Whale along with dolphins and other marine life. Mirissa has a lot to offer but take this time to enjoy the beautiful sea and beaches again keeping an eye out for the large number of sea turtles you can spot from the shore or while your snorkelling, it’s also a great spot for beginner surfers if that takes your fancy if not enjoy a beer and watch some of the local surf talent I guarantee you’ll be very impressed with their tricks and flips. Uda Walawe is famous for its National Park being one of the best elephant safaris in the world along with elephants you’ll see a wide variation of birds, wild dogs and maybe even a leopard if your lucky. If your safari isn’t included in your tour you can organise it through local tour companies for 20-30 dollars for a half a day tour which should be enough to get your fix of wildlife. Ella is a huge contrast to the rest of Sri Lanka, a one road village set up in the mountains and surrounded by tea plantations. There’s a number of walks along old train lines providing beautiful views as well as waterfalls for cooling off, make sure you visit the Nine Arch bridge and watch as the trains come and go or if your feeling active take the ‘Seven Arches’ walk which will allow you to get a different aspect of Ella. Sirigiya is home to the Sirigiya rock which draws thousands of travellers a year to this ancient fortress on top of a huge rock surrounded by alluring landscapes where you can see for miles – climbing the rock can take up to half a day with local tours providing the best and safest routes up. Take in the most of the art on the rocks walls which have been there for as long as time itself especially keep an eye out for the ‘mirror wall’ and the ‘lions claws’ in which are the remains of some of the historic statues that existed on this rock dubbed the right wonder of the world. 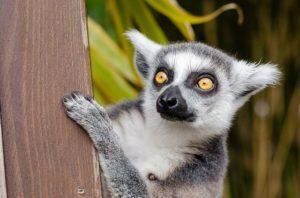 Madagascar is an island and a large one too! This means there’s a lot of coastline to explore and arguably some of the world’s nicest beaches can be found here. The Mitsio Islands with their turquoise waters and exotic fish life are very popular, as are the big surfing waves at Libanona. For perfect serenity, you could dip a toe in the waters at Anakao; a great place for canoeing and watching red tailed birds fly overhead. Nosy Be is the big name in beach resorts. Here you can dive and snorkel, while black lemurs clamber around on the ground nearby. Not on the coast, but still watery places of wonder are Lake Itasy with its spectacular falls of the Chute de la Lily, the Tsiribihina River mangroves and the waterfalls of Amber Mountain. The ‘Madagascar in style‘ tour offers the incredible opportunity to see some of Madagascars top tourist attractions in just 14 days.If it’s the architecture and heritage of the country that most interests you, you’ll enjoy strolling around the palaces of Ambohimanga and the Queen’s Palace. As for spotting wildlife, you’ll need to head over to one of the national parks. You’ll find singing frogs and reptiles at the Andasibe Mantadia national rainforest park, lemurs at the Montagne d’Arbe National Park and diverse, exciting landscape features at the Tsingy de Bemaraha National Park. This is a fascinating country to explore, with tropical features, idyllic beaches and stunningly original wildlife. If you’re ready to start booking your tour of the place, the LCD team will be able to find a tour that suits your interests, travel preferences and budget. No matter whether you’re a foodie, keen to try the Malagasy cuisine, a nature enthusiast who wants to experience all of the world’s most gloriously beautiful landscapes, or you want the chance to get up close and personal with birds and creatures that you won’t find living wild anywhere else in the world, please get in touch.We are a trusted booking partner for a huge range of award winning and internationally respected tour operators. We can advise you on which packages you’re likely to enjoy the most, as well as provide you with the intricate details of each. Get in touch now and you could find yourself heading off into the eastern sunset in just a few weeks!